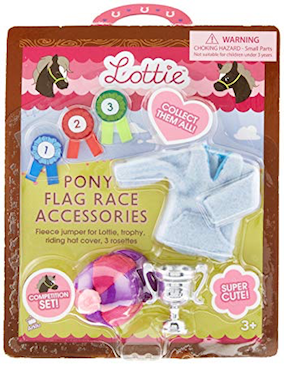 This is an accessory playset to go with the Pony Flag Race Lottie doll. 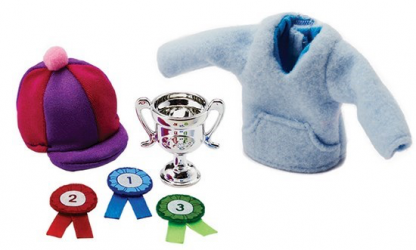 The playset includes three winner rosettes, a riding hat cover, trophy and a fleece jumper. Super cute! 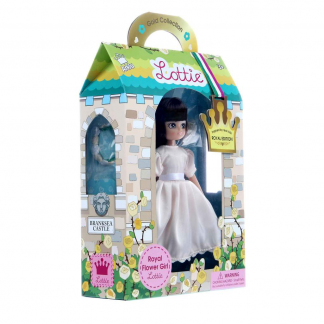 Lottie loves to be out in the countryside riding her pony, Black Beauty. 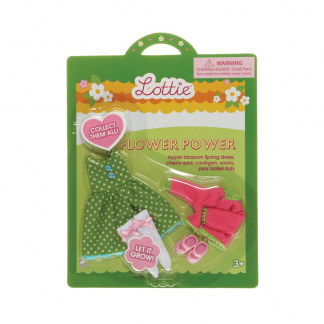 Lottie enjoys taking part in gymkhana competitions and games on horseback. It’s fun to take part and try your best. The Pony Flag Race is Lottie’s favourite; she loves the challenge of trying to pick up, carry and put down a flag while riding Black Beauty. Who will win the race?